Award-winning moviemaker Harrison Engle filmed rehearsals of our production of The Taming of the Shrew. The result is the entertaining feature documentary, HATCHING SHAKESPEARE. The film traces the problems and great success of this production, which was directed by Dr. Melanie Andrews and showcases the talented young actors of the Ensemble. The feature premiered recently at the Pan African Film Festival. Engle is a member of the ICSE Advisory Board. 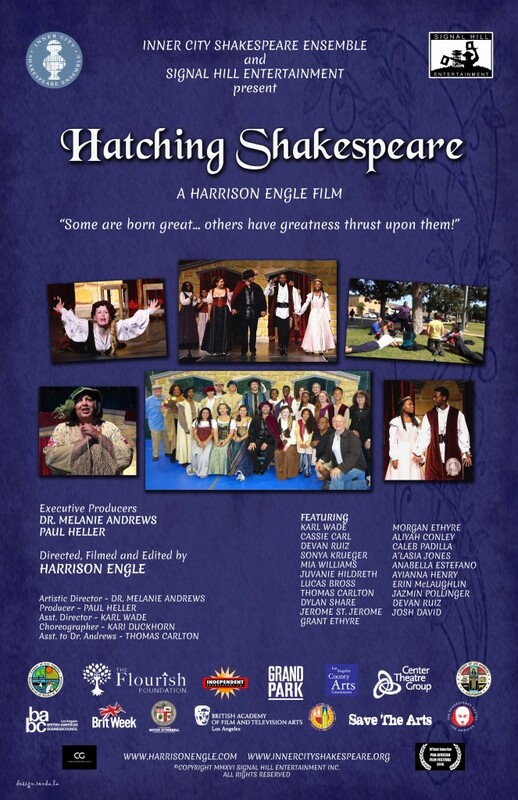 See a trailer for the film here: HATCHING SHAKESPEARE (Trailer) from Harrison Engle on Vimeo.